In his 84 years, Thomas Edison acquired a record number of 1,093 patents (singly or jointly) and was the driving force behind such innovations as the phonograph, the incandescent light bulb and one of the earliest motion picture cameras. He also created the world’s first industrial research laboratory. Known as the “Wizard of Menlo Park,” for the New Jersey town where he did some of his best-known work, Edison had become one of the most famous men in the world by the time he was in his 30s. In addition to his talent for invention, Edison was also a successful manufacturer and businessman who was highly skilled at marketing his inventions–and himself–to the public. Thomas Alva Edison was born on February 11, 1847, in Milan, Ohio. He was the seventh and last child born to Samuel Edison Jr. and Nancy Elliott Edison, and would be one of four to survive to adulthood. Thomas Edison received little formal education, and left school in 1859 to being working on the railroad between Detroit and Port Huron, Michigan, where his family then lived. Did you know? 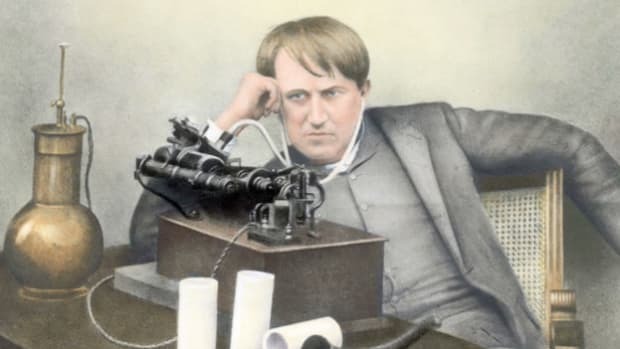 By the time he died on October 18, 1931, Thomas Edison had amassed a record 1,093 patents: 389 for electric light and power, 195 for the phonograph, 150 for the telegraph, 141 for storage batteries and 34 for the telephone. During the Civil War, Edison learned the emerging technology of telegraphy, and traveled around the country working as a telegrapher. 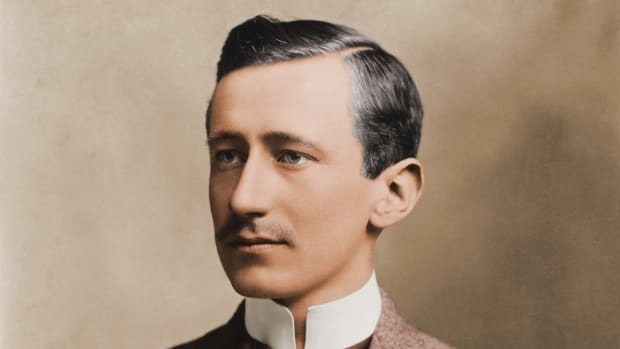 He had developed serious hearing problems, which were variously attributed to scarlet fever, mastoiditis or a blow to the head. 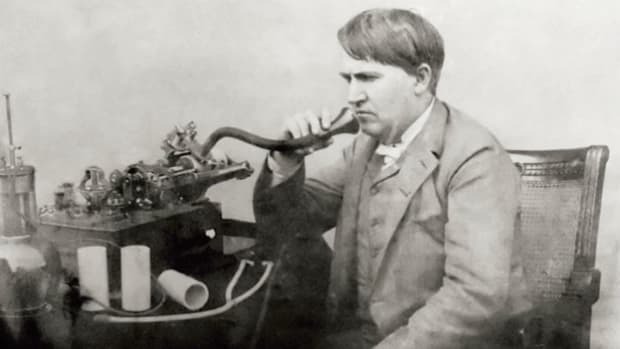 With the development of auditory signals for the telegraph, Edison was at a disadvantage, and he began to work on inventing devices that would help make things possible for him despite his deafness (including a printer that would convert the electrical signals to letters). In early 1869, he quit telegraphy to pursue invention full time. From 1870 to 1875, Edison worked out of Newark, New Jersey, where he developed telegraph-related products for both Western Union Telegraph Company (then the industry leader) and its rivals. Edison’s mother died in 1871, and that same year he married 16-year-old Mary Stillwell. Despite his prolific telegraph work, Edison encountered financial difficulties by late 1875, but with the help of his father was able to build a laboratory and machine shop in Menlo Park, New Jersey, 12 miles south of Newark. In 1878, Edison focused on inventing a safe, inexpensive electric light to replace the gaslight–a challenge that scientists had been grappling with for the last 50 years. With the help of prominent financial backers like J.P. Morgan and the Vanderbilt family, Edison set up the Edison Electric Light Company and began research and development. He made a breakthrough in October 1879 with a bulb that used a platinum filament, and in the summer of 1880 hit on carbonized bamboo as a viable alternative for the filament, which proved to be the key to a long-lasting and affordable light bulb. In 1881, he set up an electric light company in Newark, and the following year moved his family (which by now included three children) to New York. Though Edison’s early incandescent lighting systems had their problems, they were used in such acclaimed events as the Paris Lighting Exhibition in 1881 and the Crystal Palace in London in 1882. Competitors soon emerged, notably George Westinghouse, a proponent of alternating or AC current (as opposed to Edison’s direct or DC current). By 1889, AC current would come to dominate the field, and the Edison General Electric Co. merged with another company in 1892 to become General Electric Co.
Edison’s wife, Mary, died in August 1884, and in February 1886 he remarried Mirna Miller; they would have three children together. He built a large estate and research laboratory in West Orange, New Jersey, with facilities including a machine shop, a library and buildings for metallurgy, chemistry and woodworking. Spurred on by others’ work on improving the phonograph, he began working toward producing a commercial model. He also had the idea of linking the phonograph to a zoetrope, a device that strung together a series of photographs in such a way that the images appeared to be moving. Working with William K.L. Dickson, Edison succeeded in constructing a working motion picture camera, the Kinetograph, and a viewing instrument, the Kinetoscope, which he patented in 1891. After years of heated legal battles with his competitors in the fledgling motion-picture industry, Edison had stopped working with moving film by 1918. 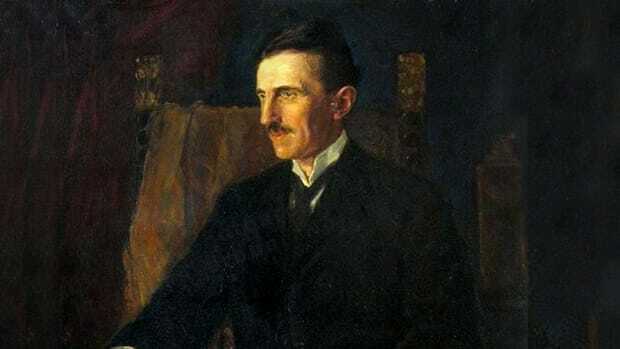 In the interim, he had had success developing an alkaline storage battery, which he originally worked on as a power source for the phonograph but later supplied for submarines and electric vehicles. In 1912, automaker Henry Ford asked Edison to design a battery for the self-starter, which would be introduced on the iconic Model T. The collaboration began a continuing relationship between the two great American entrepreneurs. Despite the relatively limited success of his later inventions (including his long struggle to perfect a magnetic ore-separator), Edison continued working into his 80s. His rise from poor, uneducated railroad worker to one of the most famous men in the world made him a folk hero. 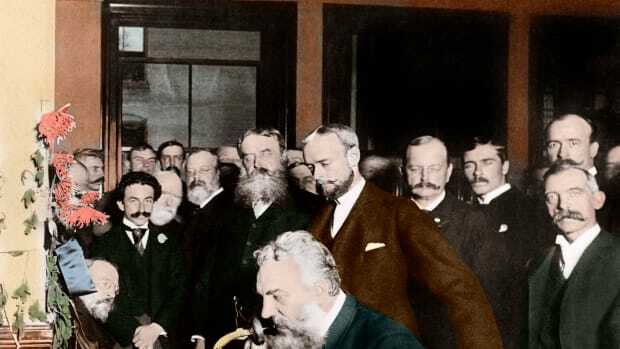 More than any other individual, he was credited with building the framework for modern technology and society in the age of electricity.